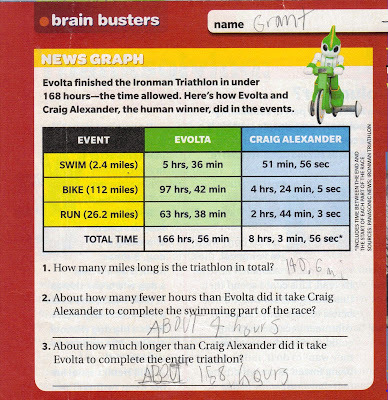 ...it makes it into your 4th grader's Scholastic News...in the "Brain Buster" section no less. 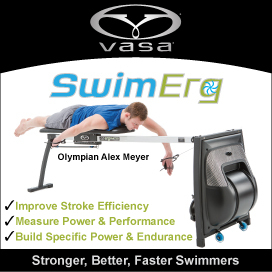 It referred to an article inside about Panasonic's Evolta that completed the Kona Ironman course in a mere 166h 56m. I wonder if Craig Alexander (a.k.a. 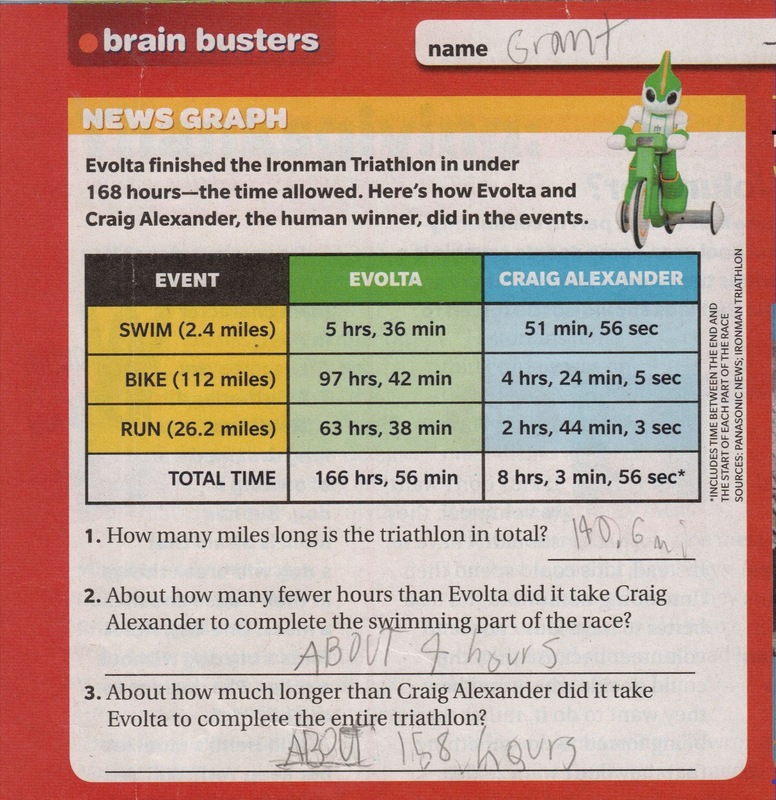 the "human winner") knows he hit the big time being the subject of my child's messy homework?? Incidentally, after I finished my workout and Grant finished Karate (both at the same gym), the kid took me through an ab workout - Roman Chairs, bicycles, and Russian Twists. He's quite the taskmaster.